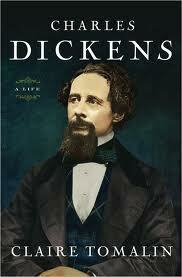 Joyce Carol Oates reviews Charles Dickens: A Life by Claire Tomalin in the New York Review of Books: Is Dickens the greatest of English novelists? Few would contest that he is the most English of great English novelists, and that his most accomplished novels—Bleak House, Great Expectations, Little Dorrit, Dombey and Son, Our Mutual Friend, and David Copperfield—are works of surpassing genius, thrumming with energy, imagination, and something resembling white-hot inspiration. Read the full article at the New York Review of Books.